Watch the game on a big screen without the high price. Not very heavy, great for a man cave. Does take a few minutes to warm up. 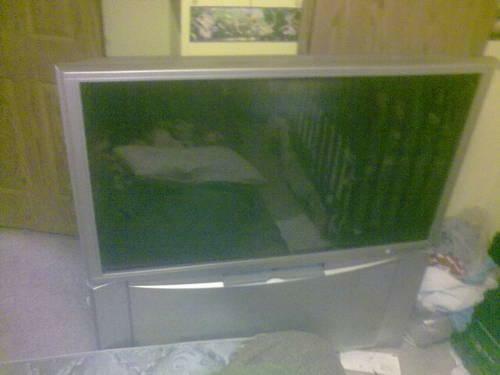 Has remote. 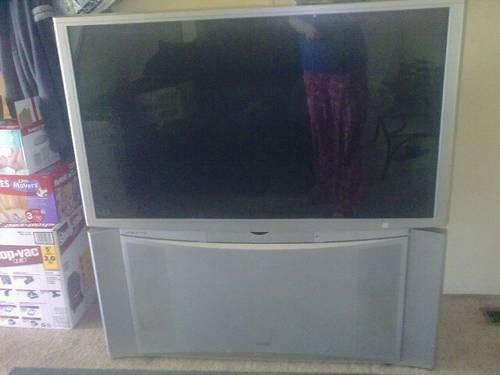 Free working 60 inch RCA rear projection TV. It's about 5ft high, 4-1/2ft wide, and 2ft deep so you'll need a truck.